Starting GPS Co-ordinates: N51 02' 40" W001 12' 30"
Finishing GPS Co-ordinates: N51 02' 90" W001 10' 70"
Update 07/04/18: An anonymous comment below states that Bosenhill Lane is subject to a TRO. As such, this UCR is now effectively a dead end. The ‘4’ rating it holds has now unfortunately become a ‘0’. Green Lane shares its first 100m or so with Bosenhill Lane, another excellent UCR that runs north-south when it diverges from the track. Green Lane is one of the best lanes in this entire area, and basically offers everything that a greenlaner could wish for, short of a ford! After Bosenhill Lane leaves, the lane jinks onto a north-westerly track and follows the field boundary until it meets Brockwood Copse, where it starts to come into its own. After a tight 's-bend ' the lane enters the woodland proper and begins to suffer from some ruts, which when we visited were also filled with water which made the going a little tricky on the earthen surface. 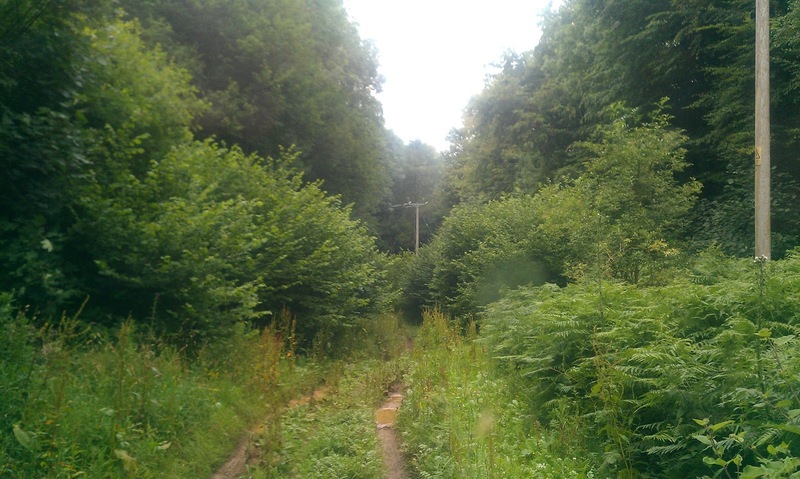 At least it being overgrown is not a worry and it is a pleasant drive through coppiced woodland. The lane soon turns almost due north and bursts out of the trees into a clearing provided by some electricity cables, and it follows these up to its termination where it meets Brockwood Bottom. At its end can be found no fewer than six tumuli of varying sizes, with the largest just over the hedge when turning right onto Brockwood Bottom. Two other large one can be found together to the west. They are all in varying degrees of preservation, with some ploughed out completely, but those interested in history should take a break and check them out. Of a decent length, requiring thought with the ruts, and with a bit of the wet stuff and a bit of history thrown into the mix, this lane almost gets full marks. 7/4/18,Now subject to a permanent tro at the Brockwood Bottom end.Very deep,water filled rut's. I can find no reference to any permanent TRO for this byway on Hampshire County Council’s R.o.W. registry (https://www.hants.gov.uk/landplanningandenvironment/rightsofway/vehicles/tro). What makes you believe it’s closed to traffic? Notice pinned to tree at Brockwood Bottom end.Any objection's and the usual legal process to be put forward by a date,which was about a year ago,unsure what the outcome was.By the look of the ucr,it had not been used for some time. Thanks, I appreciate your contribution. I've updated this entry with your findings.